Push magazine home to engage catch. Clear jam. Check chamber for cleanliness. Check if return spring is correctly assembled and free of lead deposits. Check type of ammunition (maybe underpowered). Inspect for stuck case or cartridge (see E). Release barrel lock; if barrel does not move forward from slide, call service department. B. Failure to chamber - Bolt does not close fully and gun will not fire. 2. Defective ammunition Check for damaged cartridges. 3. Very dirty pistol Check for sluggish bolt. Disassemble, clean, oil and reassemble. 4. Defective or dirty Field-strip, inspect, clean recoil spring or replace if necessary. C. Failure to fire - Hammer snaps home but gun will not fire. 1. Defective cartridge Inspect primer, if indented discard safely. If not indented, inspect firing pin for defects. 2. Obstructed firing pin. 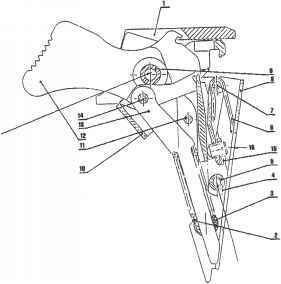 Disassemble bolt from slide and inspect firing pin hold for obstructions. D. Failure to extract to eject - Pistol will not eject case or jams. Inspect ammunition and change if necessary. 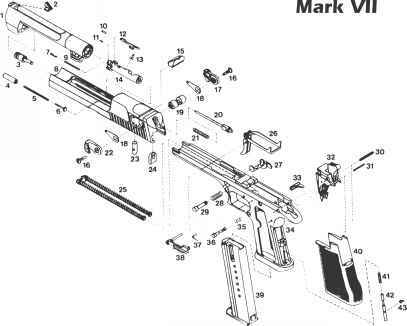 Inspect, clean, replace barrel in necessary. Clean or replace extractor or extractor spring. Clean or replace. Failure to do so can lead to a broken slide. Clean cylinder with tool reamer head. Clean piston and channel with wire brush. E. Spent case stuck in chamber. 2. Insert cleaning rod from muzzle end and tap gently to remove case. 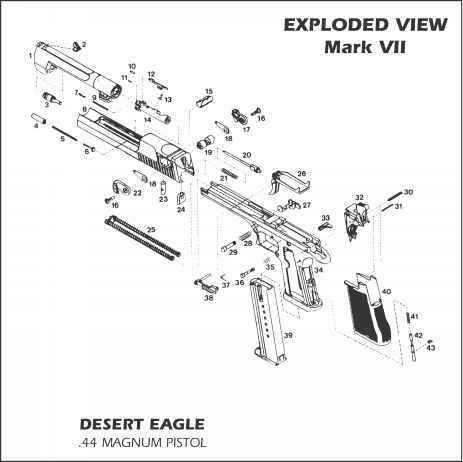 Barrel 6" .357 - MK I/VII"
Barrel 6" .357 - MK XIX"
How to disassemble ejector for 44 mag desert eagle? 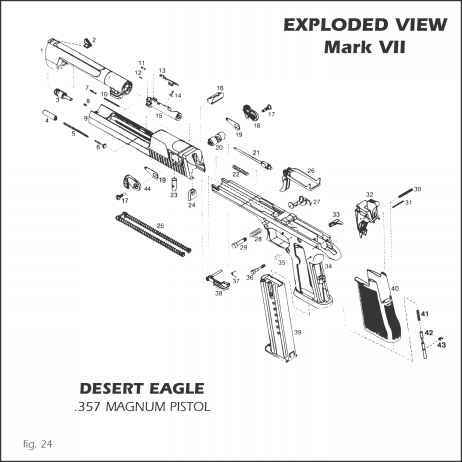 How to replace desert eagle mark xix extractor? How to clean a 9mm Desert Eagle? How to take care of a desert eagle?